Easily generate required compliance Safety Data Sheets and Hazard labels. 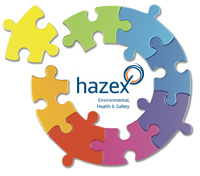 Modular and configurable, the Hazex software allows to match the legislation complexity with linear and intuitive software solutions, by simplifying the GHS hazard evaluation activities and the creation of the Safety Data Sheets. Selerant offers a series of free webinars focused on EHS themes, during which you can interact with our regulatory and technical staff. Click HERE to view a list of all available seminars, and sign up.